My wife Susan’s great-grandmother was Susan Bowman (1857-1909). For many years the Bowman ancestry was quite elusive. We knew that they “were among the first settlers in [Somerset] County” (History), but with several Susan Bowmans from which to choose, which one fit as the wife of Dibert Miller, a given name from Miller family tradition? But, it seems that unique names were the exception back then, especially among the Swiss-German immigrants of Somerset County, PA. Also, the Bowmans have spelled their surname many different ways over the years: Buman, Bauman(n), perhaps even Baughman (see bottom of “Our Bowman Family Tree”). So, it was with great interest that I stumbled upon Ulie Buman (probably mit umlaut) (1369-1425) of Zimmerberg, Canton Zurich, Switzerland, also know as “Julius the farmer” (“Bauman/Bowman Connections”). In researching forward through 20 generations, and encountering other fascinating nicknames such as “Big John,” “Little John,” and “Young John,” I finally came to our Susan Bowman married to our Dibert Miller. Is the line direct? Are the names and dates 100% accurate? Probably not, but the reputation of Swiss record keeping over hundreds of years is good, and by the time our Bowman Mennonites arrived in Philadelphia with their family histories safely tucked into their Bibles around 1707, we can be certain that the information is unusually credible for something that old. You are encouraged to refer often to “Our Bowman Family Tree” as we retrace their 650-year journey from the shadow of the Alps in the Old World to the Northern Appalachians in the New. But first, let’s consider the origin and meanng of the surname and some famous persons who carry it. 1. English and Scottish: occupational name for an archer, Middle English bow(e)man, bouman (from Old English boga ‘bow’ + mann ‘man’). This word was distinguished from Bowyer, which denoted a maker or seller of the articles. It is possible that in some cases the surname referred originally to someone who untangled wool with a bow. This process, which originated in Italy, became quite common in England in the 13th century. The vibrating string of a bow was worked into a pile of tangled wool, where its rapid vibrations separated the fibers, while still leaving them sufficiently entwined to produce a fine, soft yarn when spun. 2. Americanized form of German Baumann (see Bauer) or the Dutch cognate Bouman. Virtually all of the oldest Bumans and Bowmans were farmers. We have their tax records and many deeds to support this. As the 7th generation of descendants of Julius the farmer moved out away from Zimmerberg, we note that Cleinhans “Little John” Buman (1540-1606) paid taxes in Kuhweile, or “cattle pasture,” Switzerland. Having been to this area of the world twice in recent years, I can tell you that not much has changed since our Bumans herded their milk cows back then. One still sees the many small farms, the dairies, the cheese factories of the Emmentaler Region southeast of Bern and Basil. (Go to http://www.myswitzerland.com). By the 10th generation after Julius, some of the Bumans had ventured beyond the Swiss borders. Was it the persecution of the Mennonite faith? We know of others who crossed back and forth across the Bavarian-Alsace-Swiss border. Was it simply to find more opportunities? The spelling of the surname was beginning to change also. Hans Rudolf “John” Dandiker Baumann (1636-1690) died in Rotterdam, Holland. His son, Wendel Santmann Bauman (1681-1735) was a coppersmith, born in Thun, Bern Canton, Switzerland, but died in the Pequea settlement, Lancaster County, PA, the first of this family to cross the Atlantic. Nine families agreed with the agents of Governor William Penn, who had traveled to Germany and Switzerland seeking settlers for the new commonwealth, and under the sponsorship of Mennonite minister Rev. Hans Herr, to call the 10,000 acres of wilderness some 60 miles west of Philadelphia their new home. They sailed up the Rhine to Rotterdam and left Gravesend, England, in June 1707 on the Mary Hope, arriving in October to first settle in Germantown, what was then a suburb of the City of Brotherly Love. 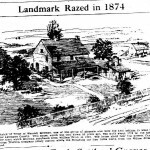 Within 3 years, the Baumans and others were clearing the land and planting in what is now Lancaster County. The present day village of Lampster, 4 miles southeast of the city of Lancaster, is what was Wendel Bauman’s home, a simple log cabin. As in the Old Country, some of the younger settlers moved away from home: Canada, Pittsburgh, and the Midwest. Still others back in Switzerland joined them in America. John “Johaness” Santmann Bauman/Bowman, Sr. (1685-1738) was born near Bern but arrived in America in 1712. Our Jacob (after 1723-1745), along with brothers John and Christian, moved west to Bedford County, now Somerset, and were on the first tax assessment there. Although supposedly being born in Brothersvalley Twp. 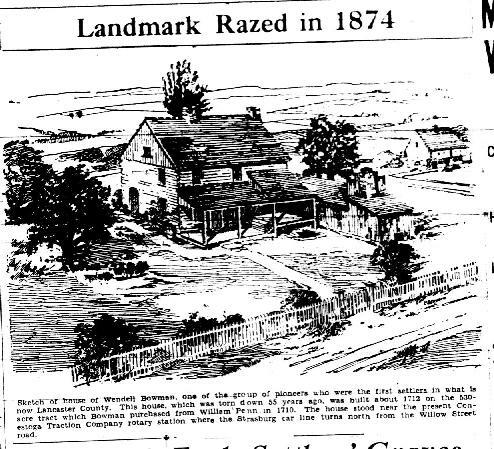 in southern Somerset County, Grandson Peter Bowman (1783-1880) and wife Mary Horner are reported to have been buried in as many as three different places: in a small town near Stroudsburg in eastern PA with an unusual name, Shaffer’s School House; near Hooversville, PA; and another small local farm cemetery. However, we know that his youngest son Benjamin (1816-1908), Benjamin’s wife Susanna Berkey, and many of the Bowmans thereafter are buried in the Odd Fellow’s Cemetery, just south of Stoystown, Quemahoning Twp., Somerset County. First, Peter seems to be our connection with the old Mennonites of Brothersvalley Twp., much of which is now Elklick and Summit Twps., home of the our Lee and other families who were, and many still are, Amish. (See the “Seven Bearded Bauman Brothers of Berlin” in the Photo Album.) 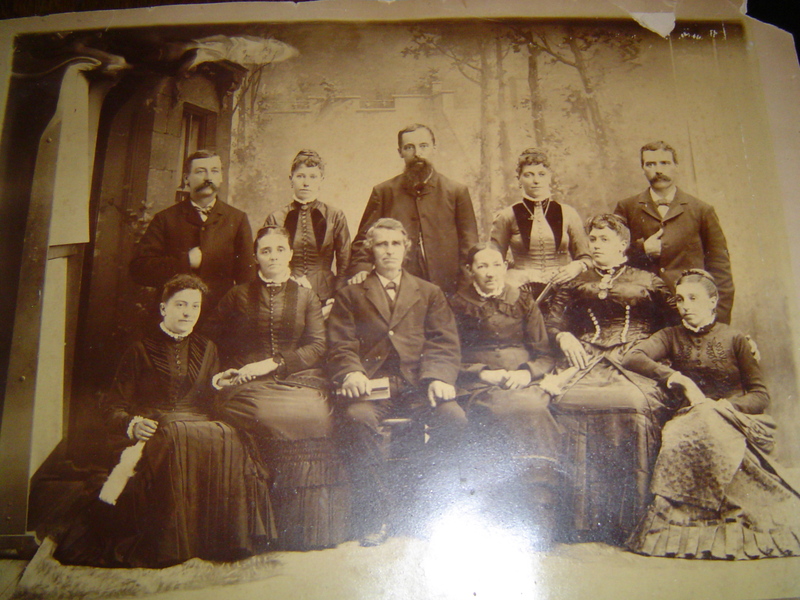 It’s important to note that these southern Baumans were probably not Amish, but Mennonite because of allowing their picture to be taken and growing hair above the mouth, practices that the Amish reject. 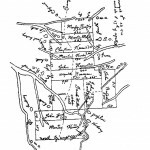 But, with that having been said, we believe our Quemahoning Bowmans were German Reformed because of their connection to the Mt. Tabor/Zimmerman Church, although at this time we don’t know where or when the change in religious preferences and practices took place. 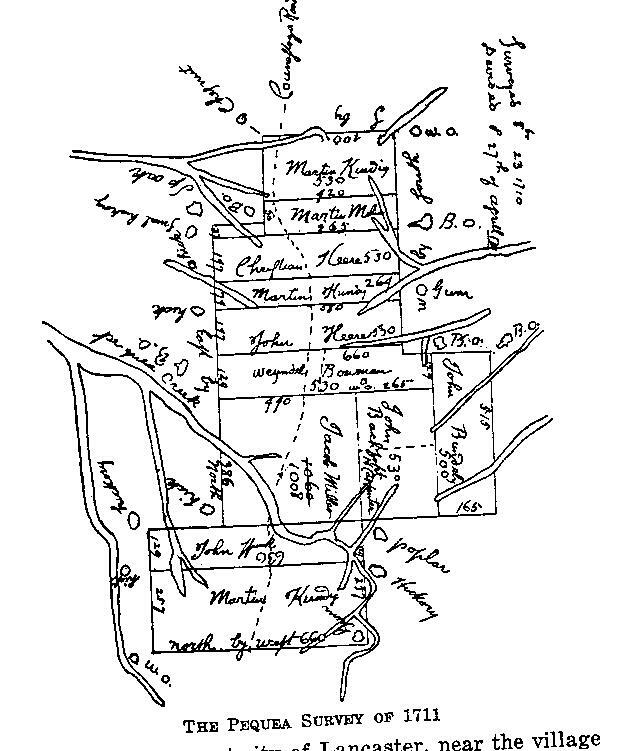 Benjamin is reported to have started with 300 acres in Quemahoning Township (History) worth $2,500, according to the 1850 U.S. Census. By the 1870 Census, the real estate is valued at $7,000. Another interesting comparison is how Susan’s name apparently doesn’t appear in the 1860 record; she would have been age 3. But, by 1870, she is listed as being 13. Our Dibert Miller (1855-1889) married Susan Bowman, converted her to Lutheranism as far as we know, but lived to be only 34 short years old. We don’t know his cause of death. Despite remarrying (Keim), Susan is buried with Dibert at Stoystown, the last of our Millers or Bowmans buried there. At least three generations to follow are, or plan to be, buried at the old St. James Lutheran Church Cemetery in Jenner Twp. Finally, have some fun with our surname, famous people and places, by Googling or exploring Wikipedia (or Bauman) devoted to the various spellings. For example, we learned that it was our cousin Dr. Jacob T. Bowman, son of Benjamin’s brother William, who founded our Somerset Community Hospital out of his home and practice. Now that’s a source of pride and certainly worth knowing. Our research continues into the Bowmans, however you want to spell it, an ancient, fascinating, and ever changing family. We will post future research questions on “Research/Writing in Progress.” (Go to http://e-gen.info/?page_id=1947.) We hope you will follow in our journey and perhaps even contribute. Look for future articles on the Bowmans of Germantown and Pequea and the Swiss-German emigration in general. Larry, I was looking for Baer genealogy when I stumbled on your web site. My cousin Tom Bowman and Cleona have Baers on his mother’s side. I will send it to you. Of further interest is your connection to Wendel Bauman. I am distantly related. Have you seen the stammbaum of the Chronik der Familie Baumann 1363? – 1912 published in Zurich 1913. It is 20+ generations starting with ULY. Via DNA I am traced to a Swiss cousin on this stammbaum. I’m glad we could make a connection, no matter through which family! If you click on Our Bowman Family Tree you’ll see old Uly (b.1369). I don’t remember exactly where I got that information without looking at the Documentation at the bottom of the page. Yes, send me anything you think will help keep our genealogy moving along. The direct path is PEARCE@ATLANTICBB.NET. Where are you located and do you still have family in PA? Wondering if you ever ran across a Jacob T. Bowman, MD. He started the Somerset Hospital in 1917. Married to Ada, maiden name unknown. He was an uncle. From the information I have on Wendle Bowman, my ancestor, his sons remained in the area but the next generation families stayed in the area or moved. Christian Bowman moved to Canada with several families and settled in the Waterloo County area. They are Mennonite. To this day there are decendents of Bowmans living in the area and following the Old Order Mennonite ways. Our family line did not. They settled on a plot on the Grand River. All documented in Land Titles. I suggest reading The Trail of The Connestoga. I am traveling this week to the Penn area to do some gen. research. There was another Bowman line that was not Swiss that settled in the Virginia area if you do some digging. Am looking for any information on Jacob Bowman of Powells Fort, Va, Now Fort City, Va. Have been unable to connect him with anyone so far. He had two sons, Samuel and James and a daughter Mary. Does any one have any info on these Bowman’s? My direct, paternal-line ancestor, and great x4 grandfather, was John Witmer. His wife was Esther Bowman, who was a direct, paternal-line ancestor of Wendel Baumann (granddaughter I believe–I’m still researching the generations). John and Esther both died in 1828 and are buried in Tschantz Cemetery, West Lampeter Township, Lancaster County, PA. Their son was Jacob Witmer, who was my great x3 grandfather. Wendel was an original Swiss Mennonite pioneer to PA. I am a direct bloodline descendant of Wendel Baumann. This is all verified through genealogical materials at Lancaster Mennonite Historical Society. Good to meet you, Michael. Thanks for sharing this information with our readers. I hope to get down to do some research in Lancaster County very soon. I’m looking into the Bowman genealogy–have been for a while–but I’m stymied. My personal line is Fred J. Bowman of Fairmont, West Virginia, his father James Daniel Bowman born at Accident, Garrett Co. MD; his father Moses Bowman, born on Sang Run in Garrett Co.; his father Daniel L. Bowman of Summit Mills, Somerset Co. PA; his father John Bowman, married to Elizabeth “Barbary” Beeghley (grand-daughter of the famous Michael Beeghley). Our family history says that John and his brother Benjamin were orphaned when their father, John Sr., drowned taking a team of horses across the Juniata River and were “raised by strangers.” Given the locations they lived in, I imagine they were taken in by another family in the community. Nevertheless, I have been unable to locate any proof of John Sr. or his drowning and very little else about John Jr.
Do you have any knowledge of this Bowman line or do you have any hints where I could search? You have some interesting people there. Aside from the various spellings of Bowman in our Somerset County, PA, there seems to have been several lines come west from those settlements I refer to in my writing. The Summit Mills Bowmans were neighbors of my wife’s Amish Lee family, but they were apparently different than her father’s Quemahoning Township Bowmans. My research is continuing, hoping to connect with that interesting fellow, Michael Beeghley. Stay in touch. I have heard the story also about John and Benjamin being orphans, but I do not believe that to be true. I am a direct descendent of John Bowman Sr. (1781-1867) and wife Elizabeth Beeghley. DNA suggests that John J. Bauman (1755-1819) and wife Elizabeth K. Miller (1762-1837) were the parents of John Bowman, Sr.
John J. Bauman’s (1755) parents were Jacob Johannes Bauman (1722-1778) and wife Marie E. Rueger (1716-1781). The DNA analysis also points to Wendel Santmann Baumann and second wife Anna Kendig Herr to be the parents of Jacob Johannes Bauman. Lee Anna, thanks for all the good information. I Was unaware of all the DNA findings. Could you write back and direct our readers to those studies? Thanks again for your viewpoint. Sorry it took so long to respond. I will definitely share what I collected over the years. Thank you for the information that you shared. I’d love to see the sources that Larry mentioned in his note. It makes you wonder what the circumstances were that the story got passed around in the family that they were orphans. I guess we’re cousins, somehow. I’m on Ancestry and 23 and Me, if you decide to do the DNA tests, I’m sure we’ll probably match up. Larry, thanks again for this great site!! Thank you so very much for all your research on the Bowman Family! My line is from John Santmann Bowman and then through his son Casper Bowman. 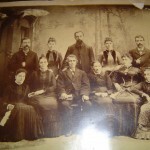 Our family Bible begins with Casper Bowman (1802-1889) and his wife Mary Anne Bowman (b. 1811). Our line is then continued through their son William Donithan Bowman (1846-1925). If anyone has more info to share, please let me know!